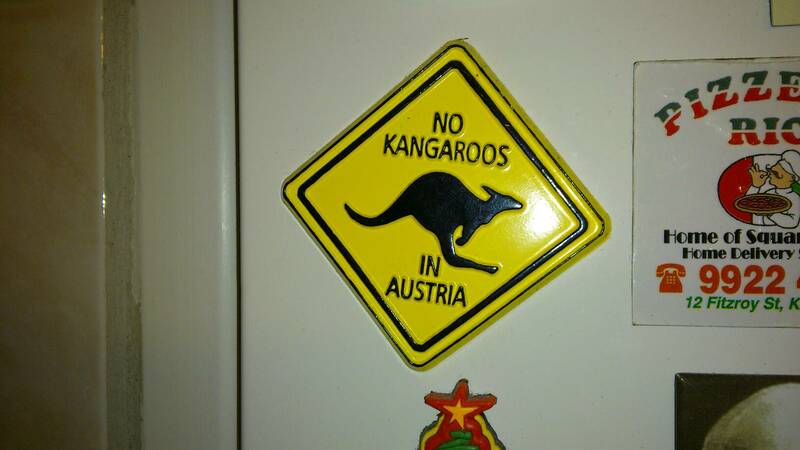 This fridge magnet goes quite unceremoniously into the bin. With it one of the few (the last?) reminders of past bad times. I kept this one around because it was funny and it reminded me of what we used to joke about in Sydney - "I'm from Sweeeeeden, not Switzerland" just like Austrians had to clarify they were from Austria, not Australia... :-) The magnet/souvernir was also purchased on a trip together with my brother in law. Only that it wasn't me making the trip. But it's been causing much less joy than the opposite for it's stay with me the past ten years so it is time to let go. Off you go. Into the bin. With you the reminder of a corrupt and criminal mind.